THE CONTINUED ADMISSION of children and adolescents to adult mental health units is “totally unacceptable”, according to the Mental Health Commission. In the first five months of 2017 there were 44 child admissions to adult units compared to 36 for the same period in 2016, according to the Commission’s annual report published today. In total, the Commission was made aware of 68 such admissions in 2016. “[This] shows a stark failure to abide by established policy. The increase in 2017 so far shows that on this issue we are going backwards,” chairman of the Commission John Saunders said. 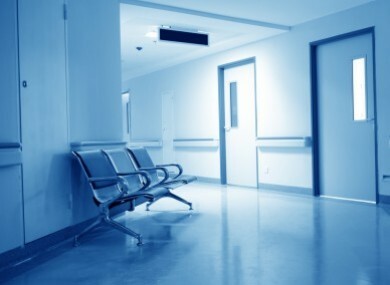 In May, there was huge criticism and concern over reports that a 16-year-old spent the night on a chair after being admitted to the adult Acute Mental Health Unit run by Waterford Regional Hospital. The Psychiatric Nurses Association (PNA) said staff at the hospital were extremely concerned at the ‘unacceptable’ incident. “Not only was this child admitted to an adult unit,” Michael Hayes of the PNA said at the time. “But there was not even a bed available and the child spent the night on a chair. Between January and May, that unit alone had been over capacity on 17 occasions. On those days and nights, patients have been nursed in interview rooms. A fall in the number of beds for Child and Adolescent Mental Health Services (CAMHS) could be a reason for the rise in admission to adult units, according to the report. It determined that the decline in beds is due to a shortage of staff members, location, clinical decisions and family preference. At the end of May 2017, there were 77 usable beds for the CAMHS, a decrease of 16 on the same time last year. In addition, it found that a number of areas across Ireland had no out-of-hours or weekend cover for children and adolescents, increasing their risk of being admitted to adult units. This issue needs to be addressed urgently by the government and the HSE. Staffing levels at adult units are still a challenge, with agency nurses and overtime being used to fill gaps. In 2016, the Commission established five areas of mandatory training as a minimum requirement for all healthcare professionals in approved centres. Compliance with these areas was “consistently low”. A total of 94% of approved centres were non-compliant with staffing, “mainly due to staff training”. Sixty-four approved centres were inspected during 2016, with four focussed inspections. A focussed inspection may be issued to gain further information, or to confirm that a risk at a centre has been reduced. The inspections found that there were high levels of compliance with religious practice standards, the right to mental health tribunal hearings, along with health and safety. However areas of significant non-compliance included individual care planning, privacy, staff training, safety on premises and breaches of the rules on seclusion. “We know that there are efforts to recruit to fill roles, but progress is not quick enough,” the Commission’s chief executive Patricia Gilheaney said. The Commission’s report raised concerns about 24-hour staffed community residences, which provide care to “vulnerable people” with long-term mental illness. These accommodate too many service users, often have poor physical infrastructure, and are institutional in nature and lack individual care plans. Email “'It's totally unacceptable': 44 children admitted to adult mental health units so far this year”. Feedback on “'It's totally unacceptable': 44 children admitted to adult mental health units so far this year”.